Q: How can I create PDF interactive forms that have auto calculations on them? 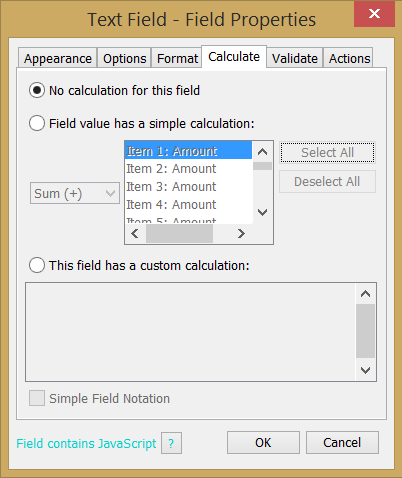 A: PDF Studio 9 and above is capable of creating PDF forms with custom calculations. You have the ability to use some of the preset simple calculations or advanced custom calculations using Java. This is very useful for when you want values entered into a form calculated automatically. For example: summing up a total on an invoice sheet to give to a customer. Below are the steps used to setup the calculation function within a PDF document. 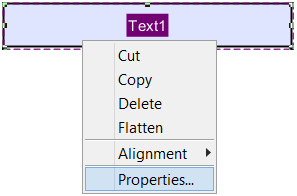 Select the Text Field that you would like to perform the calculation and open up the Text Field Properties. 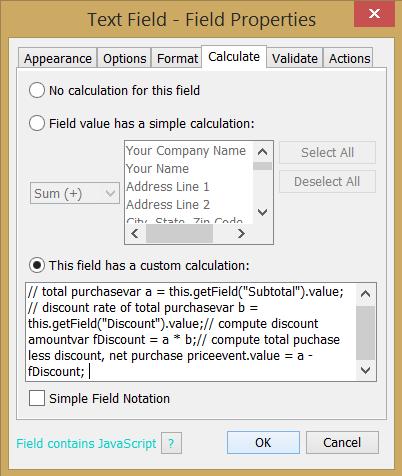 This can be done by either double clicking on the field, or right clicking and selecting Properties. 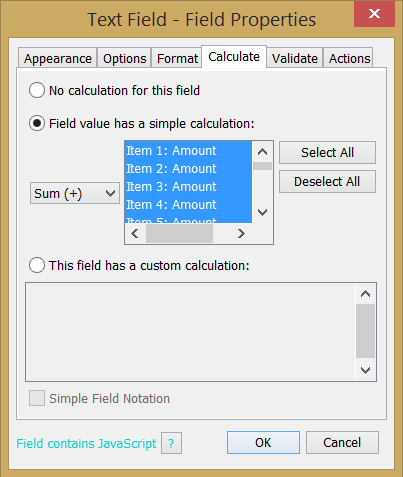 Simple Calculation – This option allows you to create simple calculations using the fields on the form. 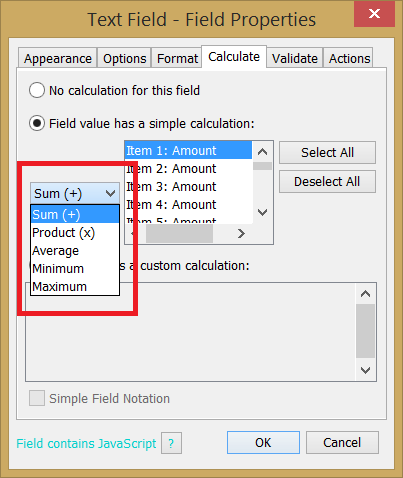 Then select the type of calculation you would like from the drop down menu. Repeat steps 1- 10 to create as many List Boxes as you need.